Uncover cards by moving them between 10 cascading stacks and 4 free cells so they fly up and complete the suit stacks. 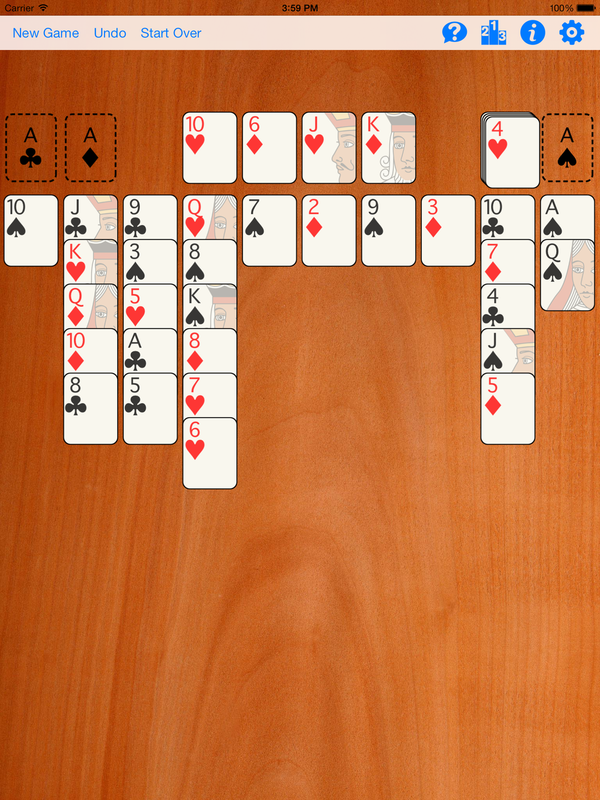 A 52-card deck is dealt in 10 cascading stacks. You can move the top card of a cascading stack to either an empty free cell or to the top of another cascading stack with top card of the same suit and one higher value. For example, 3 of clubs can be moved to a stack with top card 4 of clubs. Any value card can be moved to an empty free cell. Only Kings can be moved to an empty cascading stack. NOTES: Not all games are winnable. 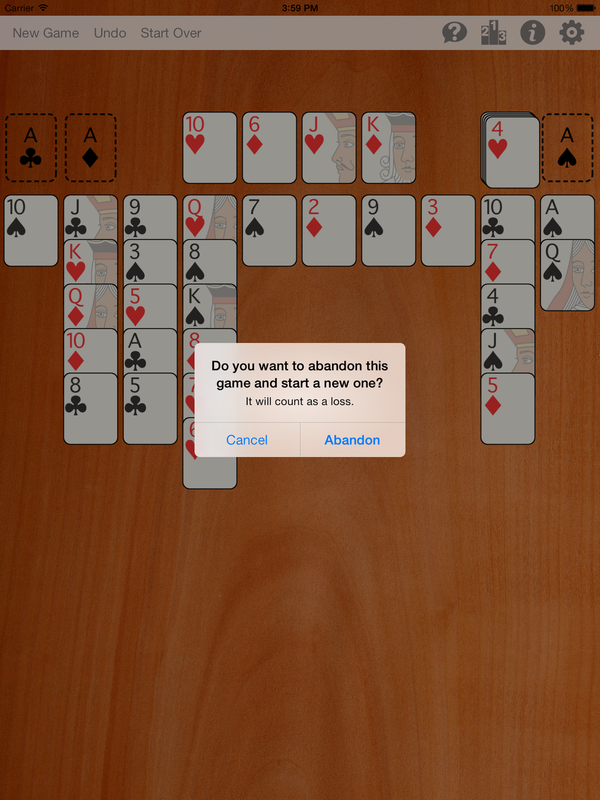 You can reject a newly-dealt hand that looks unwinnable by clicking New Game again. If you click New Game before moving any cards, the game is not counted as a loss. 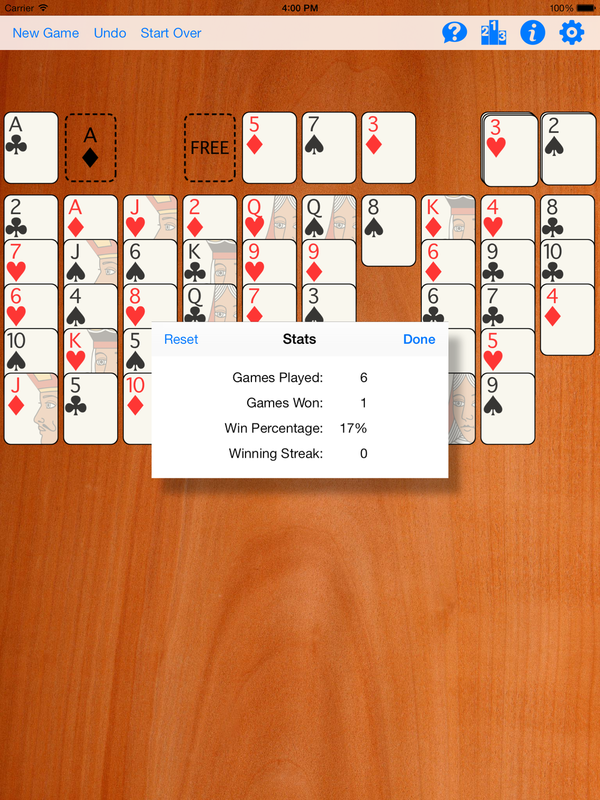 Click Undo to undo one move at a time, or Start Over to undo all moves in the current game. Seahaven Towers is a trademark of Art Cabral, used with permission.